I can’t say we did much shopping at Walmart before this trip, but it is quickly becoming one of our most frequented stores. 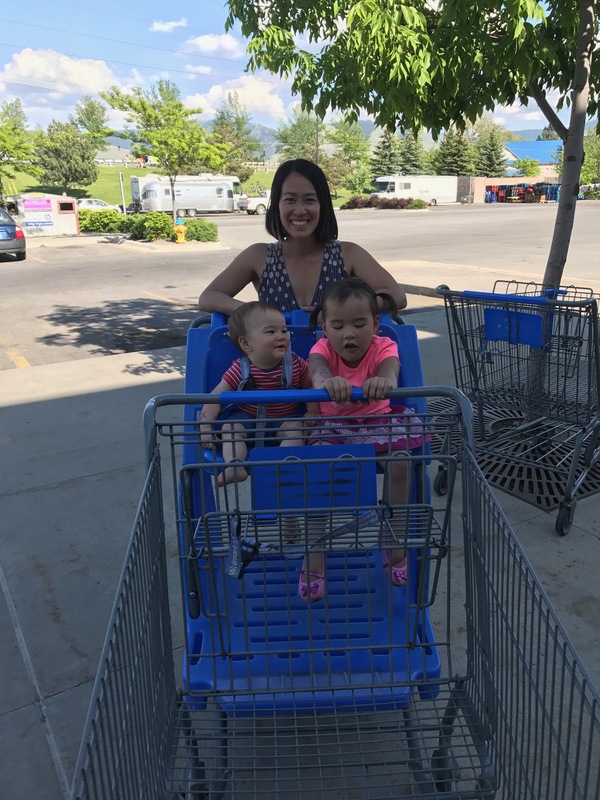 I’m writing this post from the west-end of the Missoula Walmart. 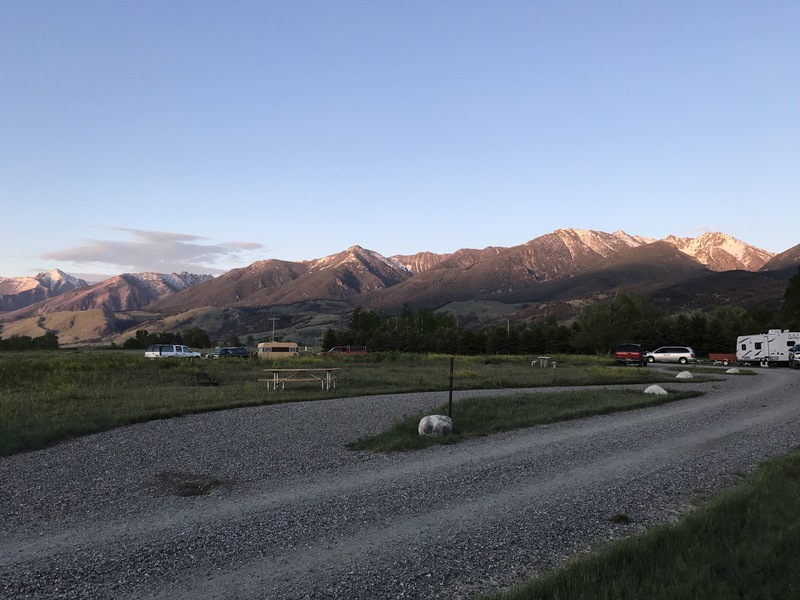 You’re only supposed to “camp” one night at a particular Walmart, but the boondocking and rv park options in Missoula weren’t the greatest so we decided to take liberty with the one night rule. In our defense, we parked on the east side of the parking lot last night and we bought some provisions both nights to help with Walmart’s struggling bottom line. 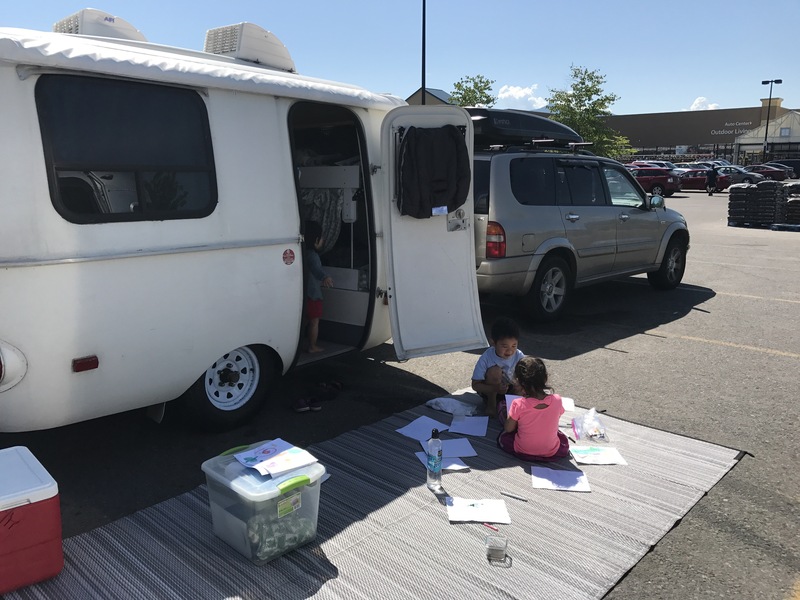 One of the reasons we like this Walmart so much is we met a super nice family in the parking lot last night. If you didn’t know, Walmarts are great places to pick up a date or meet your friendly RVing neighbors. This family had two young kids and after E stalked them from our window, they quickly hit it off. 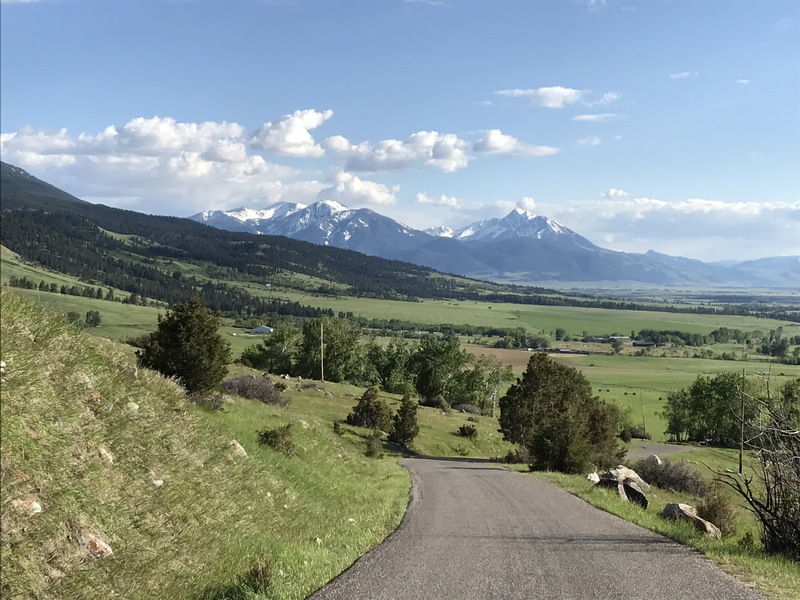 We’ve had a fun time in Missoula, which is probably due to the fact that Missoula’s city motto is “the discovery continues.” Now that’s something that pulls at the emotions a little bit – way to go Missoula. 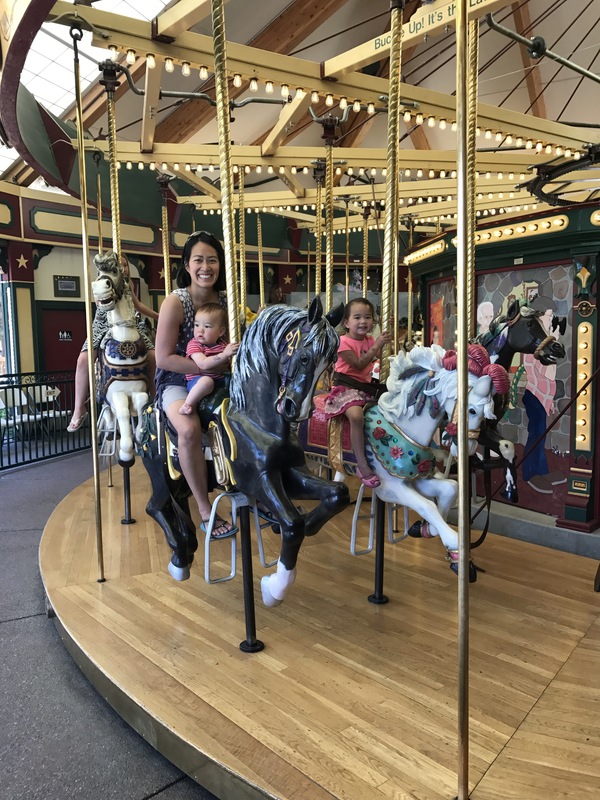 Outside of continuing our discovery at Walmart, we spent the day exploring the town’s parks, riding the carousel, pretending to shop for a home in a nice neighborhood and generally having a peaceful family day. Then again, every day for us is a family day, some less peaceful than others. 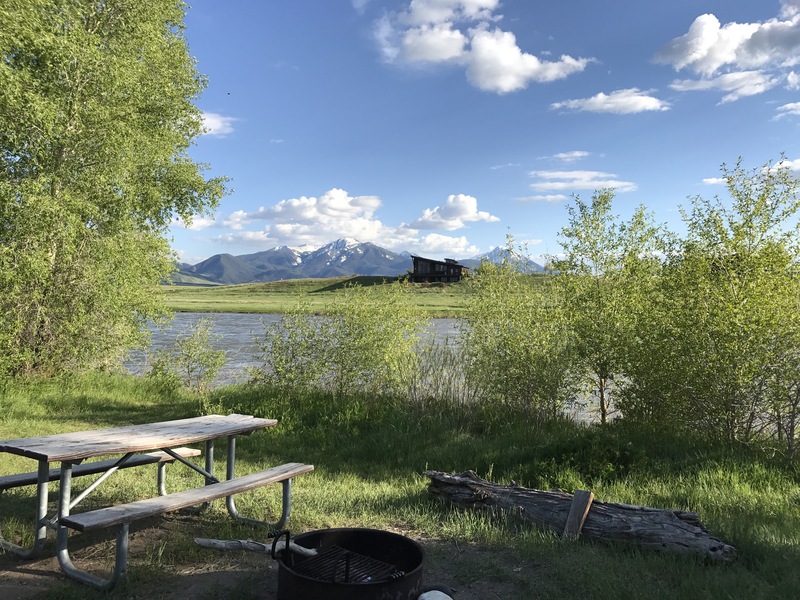 Before Missoula we spent a wonderful night outside of Livingston on the Yellowstone River. If you are ever in Livingston we can’t recommend the campground at Loch Leven enough. The scenery gave 360 degree views of the mountains and about 8 feet from Tin E was the river. 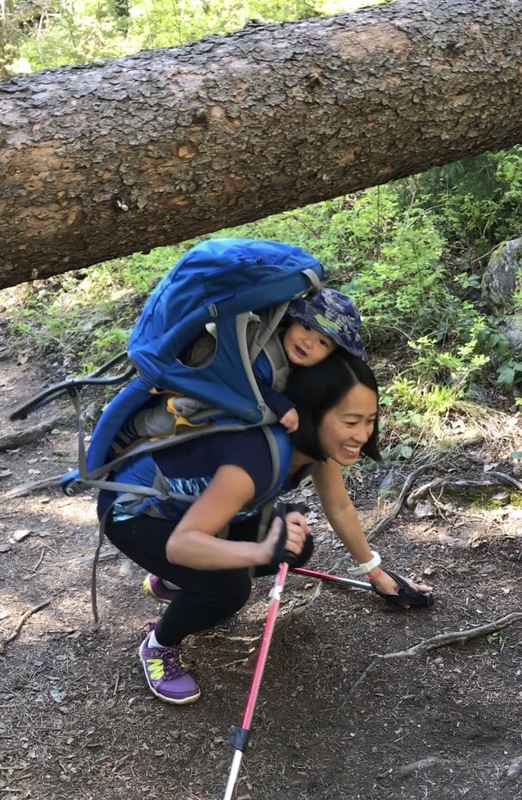 Being just 15 mins from the Gallatin Forest, the hiking took us through a pine forest that while beautiful had recently been torn up by a windstorm. This led to some tricky limbo’ing under fallen trees, with the kids strapped to our backs. It’s nice to be vertically challenged sometimes! Great to meet you all! My E is glad to collect his first friend on this travel. Not sure if you noticed but the towns nearby have the first letter of their names on the mountain side. My E was hoping he could find a big E on the mountains to name a town after himself and your E. Let me know when you guys make your way up north. Would love to have you guys over for a BBQ and play date. Great to meet you guys too! Sadly, we haven’t found an E yet in the mountains!? A BBQ/play date would be fantastic.